A 26 year old Pranburi man suffering from obesity needed the help of 30 neighbors, a rescue foundation and medics to get to hospital. 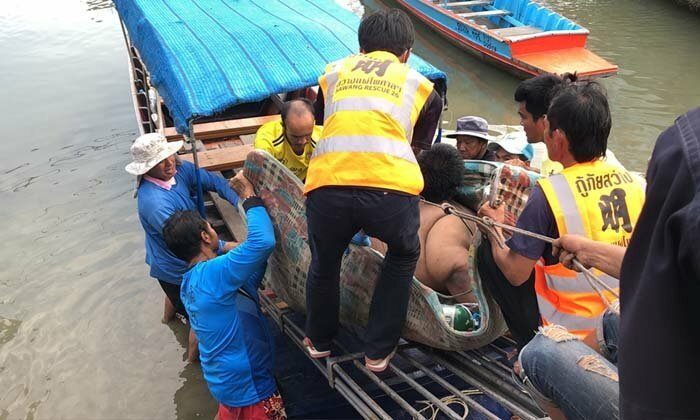 Thongchai had to be carried to a boat from his old seaside house then loaded on an ambulance. 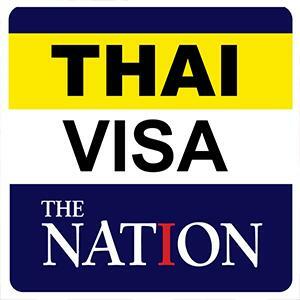 The whole operation took 3 hours before Thongchai was safely at Pranburi Hospital. His mother said that her son developed symptoms of obesity at eight years of age. By 2012 he weighed 100 kilos. When he got to 230 kilos he was told by doctors at Sirirat Hospital in Bangkok that he needed to have his stomach reduced in surgery. But he was scared of having the operation and went home. Yesterday he developed complications related to having abnormally low levels of oxygen in his blood and so Sawang Phae Phaisan rescue foundation and medics were called to assist at the house in Ban Klong Kiw, Pak Nam Pran.